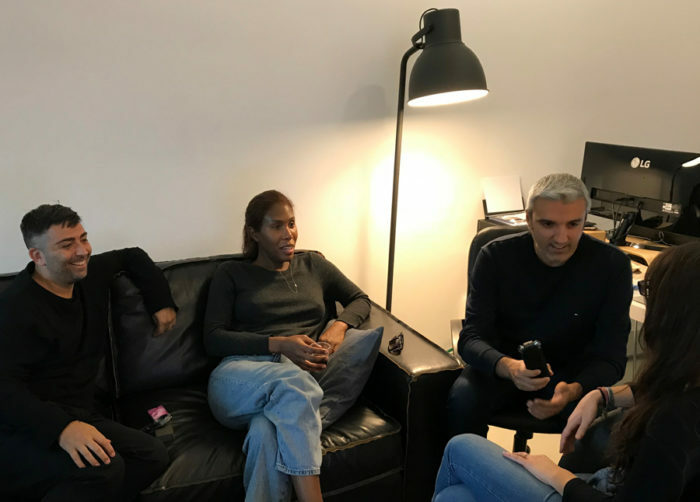 We had the chance to interview the producer and DJ Honey Dijon during her visit to our headquarters in Milan. Photo: Courtesy of Ricardo Gomes. Still preferring vinyl as a format, there is something hugely authentic about the way Honey mixes, fusing the bump of Chicago with more classic New York sounds and other European influences. Her sets are known for their strong programming, passion and integrity. The art of the mix itself is also very important to Honey as anyone who has witnessed her play can testify about her deft mixing skills and the way she dexterously flows between house or techno with a warm, hypnotic feel. She has played at many of the best venues around the world including esteemed underground haunts like Panorama Bar/Berlin, Sub Club/Glasgow, The Block/Tel Aviv, Output/NYC, Space/Ibiza and of course Smart Bar/Chicago. In the studio, Honey brings her unique perspective and experience to her productions as well. Of course heritage sounds are at the rock bed of what she does, but far from churning out throwback sounds, she makes sure new ideas are at the forefront. For evidence of this look no further than her releases and remixes on Classic Records. In fact this cultural star recently mixed a retrospective compilation for the legendary Classic Music label as well being commissioned to create the soundtrack for a recent Louis Vuitton Menswear shows. With her charisma, style and broad understanding of electronic music and upcoming gigs in Los Angeles, Chicago, Toronto, Amsterdam, Germany, Spain, and Paris to name a few there seems to be no stopping Miss Dijon. 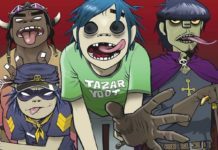 Hello and welcome to House of Frankie, Underground Radio in Milan, Italy. 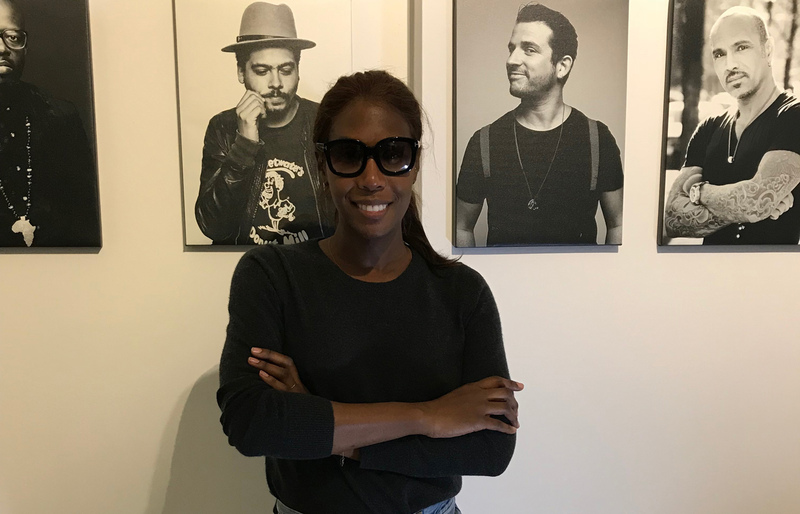 I have been joined by producer and DJ Honey Dijon. Nice to have you here in Milan! What do you think about this project born as a tribute to Frankie Knuckles, who we know was a friend of yours? I think it’s really amazing that there are people that still have so much love for Frankie and that his legacy continues even though he’s not with us physically his energy and music and his spirit continues, so I think it’s really beautiful that something like this exists and that pays tribute to what he has created in the world. It’s really awesome! Honey Dijon during her visit at our headquarters. You come from Chicago. 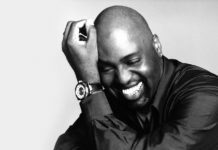 We know that Frankie Knuckles has created a movement starting from this city and that he also made house music’s history. You took part in this movement and you brought it to New York. Would you tell us something about the beginning of Frankie Knuckles career? 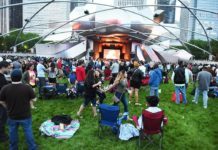 Well, you know Chicago is a very musically rich city, we have the blues, jazz, industrial, it was so many musical things happening, that I’m so close to what happened that it’s hard for me to be objective about that because Frankie was just one piece of the puzzle of how House Music started. There were many people that were doing that at the same time, he just became the most respected and loved artist of that genre, bringing the school from New York and combining it with the new electronic equipment that was available at that time. 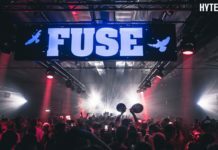 There was Ron Hardy, Armando, Pharris Thomas, Andre Hatchett, Laura Branch, Craig Loftis, there were so many people that were part of cause, not one person can create a movement, it has to be several different people doing several different things, and house music is really a child of disco. You know what happened in Kaminski Park in 1979 when there was this backlash by radio deejay saying that disco was dead but for people of colour it never really died, it just changed into house music. 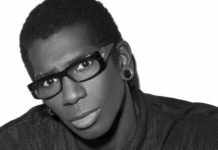 That music comes from gay black culture, so there were so many different clubs and things happening, but Frankie was a pioneer. He had a very distinct voice of carrying on the musicality of House Music because the early House Music was just track, we call them “beat tracks”, there were no vocals, no instrumentation and Frankie kind of carried on that legacy, so it was really just an expansion of what was happening culturally in the city of Chicago at that time, is just another version of disco. His legacy, I think, is just globally bringing it around the world, he was the ambassador of what was happening in Chicago and I think that’s why he’s so respected, because he was really the voice of what was happening. 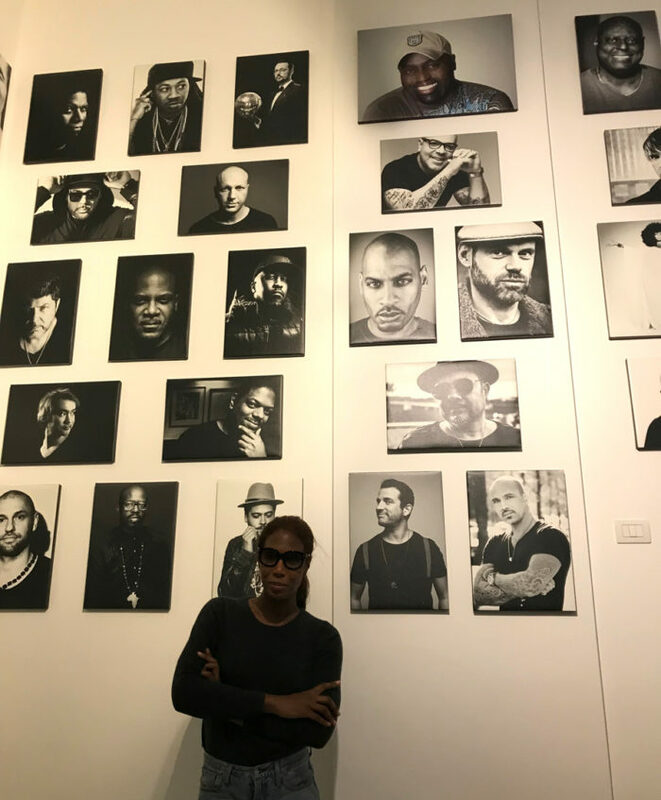 Honey Dijon posing in front of our Artists’ “Gallery Wall”. I know you are currently here in Milan. Which are your projects in Europe and in Italy? Well I’m actually in Milan for a gig, but I’ve just released an album, and it’s funny that I’m having this conversation because this music was really inspired by New York City and the late 80s when you had this sort of old Def Mix crew happening which was David Morales, Satoshi Tomie, Hector Romero and Frankie Knuckles. There were many different clubs happening like The World and Red Zone and Frankie was, I believe, resident DJ of The World and David was the resident DJ at Red Zone and so I’ve always really loved that music. Now we have this new generation discovering early 90s’ House Music which to them is what Disco is for my generation, so they are discovering all this early music from Masters At Work, DJ Pierre and Satoshi Tomie and all of this sorts of things. That’s why I wanted to do this new album called ‘The Best Of Both Worlds‘ I’ve just released on Classic that is sort of an homage to that time in New York – the mid-late 80s – which I really love. 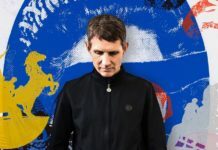 In those years there was this slower tempo and it was a little bit sleezy and darker but there were still a lot of good songs like Satoshi, Eric Kupper and all that sort of New York sound. So that’s why I’m here actually, just to work but it just happened to coincide with this album that is really an homage to what Frankie, David Morales and Satoshi did. Thank you, Honey! It was great to have you here! See you soon! 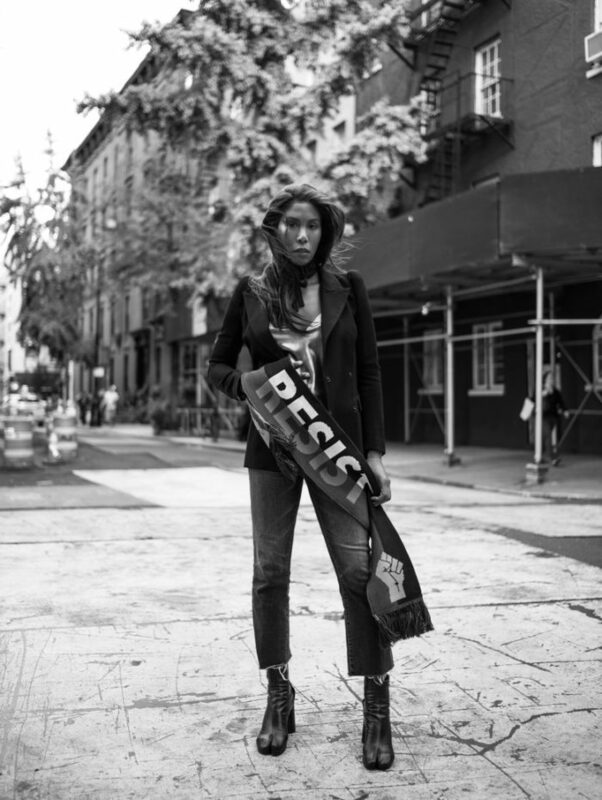 Listen to Honey Dijon’s latest releases below!